With the access of internet, the numbers of businesses coming to the fore are increasing every day. Entrepreneurs are making new inventions and opening up new companies, resulting in marketplace saturation. Due to this saturation, it is very important to register your business trademark. In this guide, we will briefly discuss the benefits of trademark registration. The first advantage of getting your trademark registered is that you get to the exclusivity of your business. You are the only one who can use the trademark name as no one else can lay claim to it in future. This is very important as copycats won’t be able to use your name for making money. The name which you choose for your business should be unique and should go with the type of business you’re running. A registered trademark brings good reputation to your business. If you haven’t bothered to register your trademark then potential clients and business partners won’t take you serious as well. But, if you have a registered it, they will get the answer that you’re serious about what you’re doing and that you are out to make a name. As you grow in your reputation, your chances of connecting with other businesses and investors also increase. Investments are very important to make sure for any business. 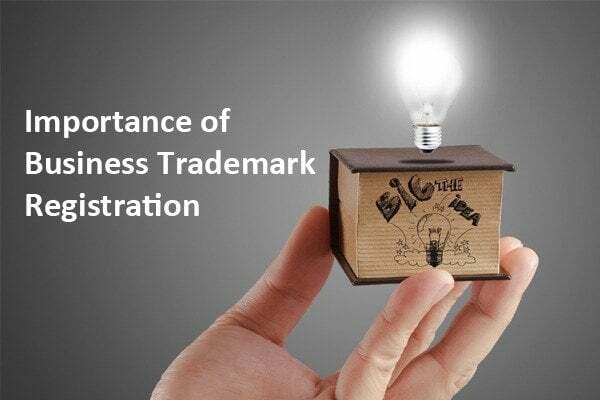 Therefore, you should get your business trademark registered as soon as you start a business. Investors are lured towards a business prospect which promises huge profits. If you have a booming business and a registered trademark then it will be easy for you to open new franchises of your setup. Investors will use your company’s name, logo, mission, and other slogans and a result you will earn money. Contrarily, if you lack a trademark registration, then chances of your expansion will reduce drastically. A logo is a graphical representation of your company/business. Therefore, it is important for you to protect it by trademark registration. Your company’s logo is a badge which contains graphical image along with a small amount of text. This logo is the first representation of your company as people will look at it and understand that a certain product is produced by you. Therefore, you should protect your logo rights by registering the business trademark. In today’s competitive marketplace, your competitors are constantly looking out for your weak points to drag you out of the race. If you haven’t registered your trademark, one of your competitors might register a dormant company using your name and logo. As a result, you won’t be able to use it any further. You could eventually lose your business. These are some of the many reasons why you should get your trademark registered as soon as possible. Once you have a registration certificate to your name, you can concentrate on other aspects of your business as no one will be able to infringe your success prospects. Follow our blog for more information.